unless you absolutely have to! You want to make some improvements to your property, install a pool or build a garage and your city requires for you to submit a site plan along with your documentation? Most cities don’t require elaborate plans for these type of permits. If they don’t require a signed and sealed site plan, why pay over $1,200 hiring a land surveyor? 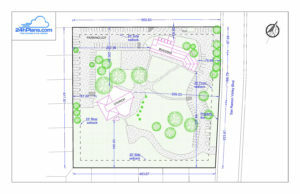 The non-certified site plans that we provide are accepted by most townships. 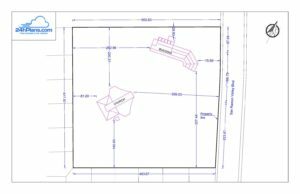 We use the county parcel maps, tax information, GIS and updated satellite images, along with other public records in order to make professional site plans, without visiting your site. This means more time for you and less hassle. Our competitors charge for the same service around $160/hr, while we provide you the three typical site plans at flat rate, below $160. This is all due to our highly skilled and experienced designers. These days, time is of the essence for everyone. As we are coming to your aid, we pledge we will have your site plan ready in less than 24 hours (working days), at no extra charge. You’re not sure which site plan you need for your project? Send us an email and we’ll help you determine that before making any financial commitment. Only certain counties require a permit for which they ask for a site plan, and we can make it happen. The city requires for you to show them exactly where you want the signs to go and characteristics of them to make sure they comply with their regulation. a fence on their property often are required a site plan. You have a vacant lot and would like to see what is the best way to occupy it? 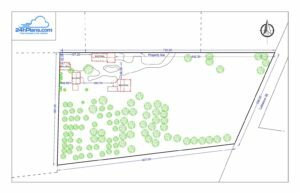 Want to subdivide your property into as many lots as possible, in the most efficient way? Get your project approved hassle free!